Dale Karin Trowbridge of Holt, Michigan is a member of the notorious Joeyisalittlekid Gang, and she fits right in with an incredible assortment of sick, evil, pathological liars. Dale Trowbridge has been telling people for years that she was an investor in Lawless America and that she was screwed out of her money, or words to that effect. In addition to recordings of TalkShoe online radio shows in which Bill Windsor said that he wouldn't accept any donation from her and shows in which he explained that no investments could be accepted, Bill Windsor has maintained complete files on all T-Shirt sales and donations. And in those files is the documentation of the dealings with pathological liar Dale Trowbridge. The letter makes it clear that this is not an investment, as does the check payable to Bill Windsor's now ex-wife, and the thank you note. She wrote: "Thank you for being concerned about my finances." And "Please graciously accept my money." There are as many as 100 witnesses to the TalkShoe shows. 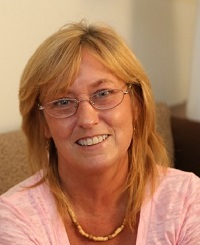 Bill Windsor told Dale Karin Trowbridge of Holt, Michigan that he did not want to accept a donation from her, and he made it absolutely clear on TalkShoe and on LawlessAmerica.com that there could be no investors. But the truth doesn't matter to Dale Karin Trowbridge of Holt, Michigan. 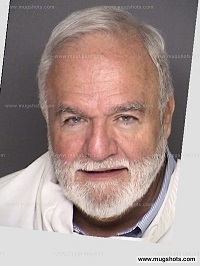 She's an evil person with just one interest -- lying to damage Bill Windsor and the movie. And the evil members of Joeyisalittlekid Gang know her claims weren't true, but they presented her word as gospel and sickos like Sam Round of Stockbridge Georgia published that Bill Windsor STOLE money from Dale Trowbridge and others. Bill Windsor has never stolen a cent in his life!